MarilynAnneCampbell.com: 2014 TIFF Kids Feature: "Giraffada"
2014 TIFF Kids Feature: "Giraffada"
The 2013 film Giraffada is the story of a giraffe-obsessed boy and his veterinarian father, who spend their days caring for plants, animals, and each other while living in the occupied West Bank. 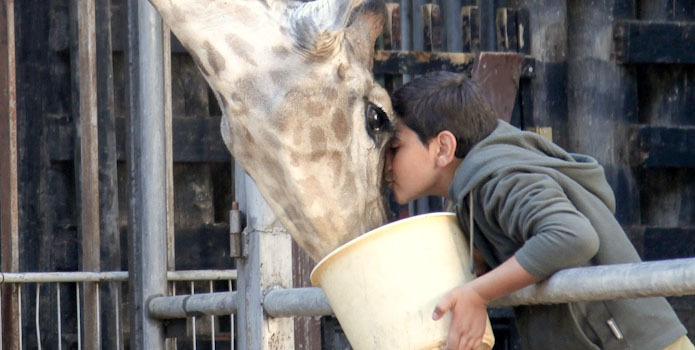 Young Ziad (Ahmad Bayatra) doesn't fit in with other children, but he's lucky enough to have close contact with Rita and Brownie, the giraffes who live at the Qalqilya Zoo where his father Yacine (Saleh Bakri) is on staff. Yacine struggles to do what's best for his animal charges, constantly butting heads against a zoo manager who saves money by painting a donkey to look like a zebra, expecting bears to survive on carrots, and providing his vet with out-of-date medications. When a nearby attack leads to tragedy inside the zoo, Yacine has to promise Ziad a miracle that he's not sure he can deliver. With the help of a French photo-journalist and an Israeli zoo vet, they challenge checkpoints and risk everything to give Rita a reason to live. 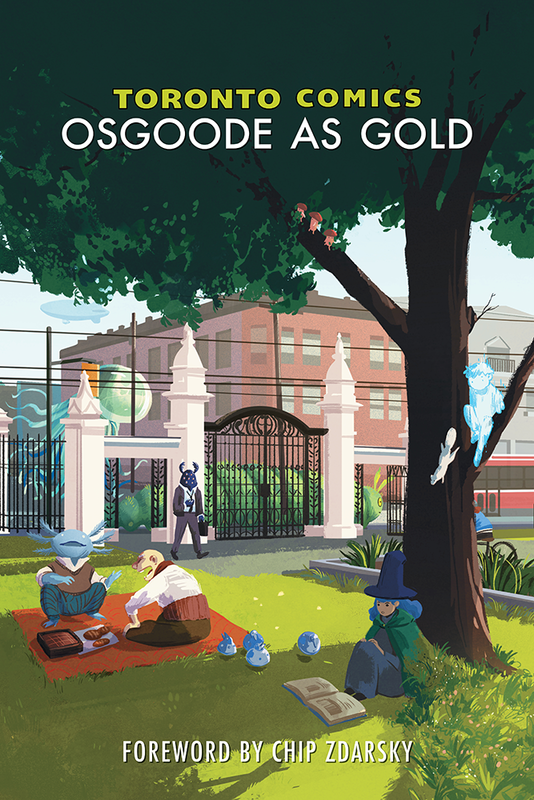 Considering its setting, this is a surprisingly gentle film. There are certainly tense moments - like when Yacine is stopped by aggressive guards who suspect his large medical bag is a bomb - but it's mostly a film about doing the very best you can for the world and for the ones you love, no matter what your situation. I appreciated that director Rani Massalha kept the focus on one small family and the impact the conflict had on them. Saleh Bakri is intensely likeable as Yacine, and I was pleased to learn after the fact that the charmingly stubborn peanut-seller Hassan is played by Bakri's real-life father Mohammad Bakri. Bayatra is a promising young actor, and endearing as Ziad. I would have liked even more giraffe and other animal screen-time, but that could just be me. The film opens with a title card that says it was "freely inspired by a true story," and the "inspired by" part is key. I went looking on the internet, and this isn't a situation where a filmmaker has taken a true story and tweaked it a bit - it's more of a "what-if" film. In reality, there is a Qalqilya Zoo with a very dedicated veterinarian, and numerous animals, including giraffes, have suffered and died due to the human-created violence around them. The animal death which takes place during the film is essentially the "true" part of the story, but many more deaths have followed, and the hopeful second half of the film never took place. Here's a good summary from Lebanon's The Daily Star, and an in-depth 2003 article on the zoo from The New York Times. I have no problem with the film creating the story it does, and applaud using fiction to imagine how the world could be better. But I worry that most audience members will misunderstand the title card, and leave the theatre thinking that the real-life Qalqilya Zoo giraffes got their happy ending. They did not. 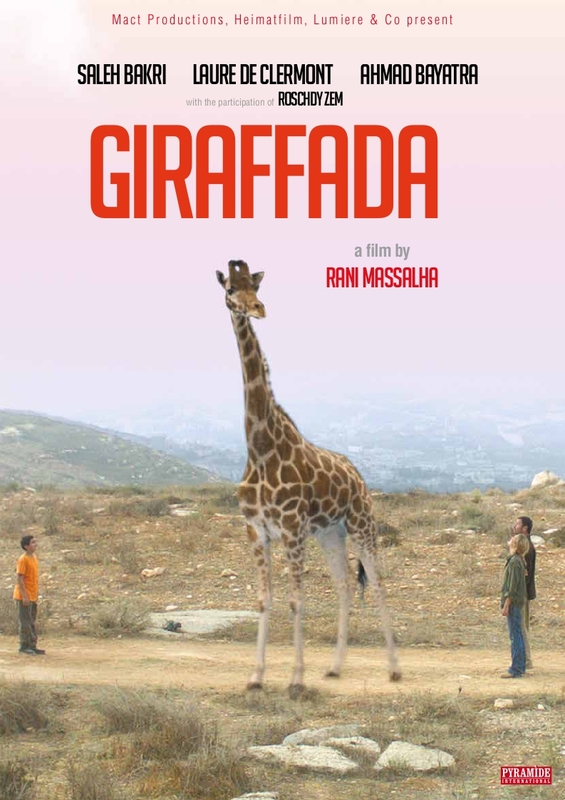 If you're going to see Giraffada with your children or students, I recommend prepping them with a bit of an explanation on the situation in the West Bank, if they aren't already familiar. You don't need an intimate understanding of the conflict to follow the movie, but viewers who don't know anything about it may be waiting for an explanation that doesn't come, and be distracted from the story by wondering about the purpose of the wall and the presence of armed soldiers in Ziad's town. Giraffada is presented with subtitles, and TIFF suggests that it's suitable for young people in Grades 5-8.